Established in the year 2000, Power Tech System, India, is engaged in manufacturing, distributing, exporting and importing of an exhaustive range of Frequency Inverters, AC Drives and VFD, We are indulged in the field of Automation specially designed for high efficiency and reliable performance. Consolidating, on our state-of-the-art manufacturing unit, equipped with the latest technology and sophisticated machinery, we have been able to satisfactorily meet the requirements of our domestic as well as global clients. Our product range includes Vector Control Inverters, High Performance Vector Inverter, Mini Vector Control Inverter, Frequency Inverter, AC Drives, Variable Speed Drives, VFD Drives, etc. We import superior quality raw material from certified and established manufacturers based in Taiwan, Korea, China and several other countries across the world. Authorized by Hyundai Heavy Industries for our world class equipment and excellent after sales service, we also offer OEM services to our broad clients. Under the agile leadership of our mentor, Mr. Jitendra Patel, our organization has achieved new heights of success. His strong business acumen and huge expertise in the industry backed by the diligent efforts of our highly proficient team ensures flawless & defect free production. - Auto Tunning Facility for ultimate performance of Motor Control. - Vector Control AC Drives. - Servo Control AC Drives. - Closeloop Servo for Injection Molding Machinery. In addition to the above mentioned products we also offers DC drives, automation panels, industrial electronics, PLC, micro processor, controlled Instruments, counters, timers and temperature Controllers. 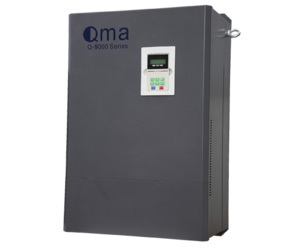 We manufacture our assortment of frequency inverters using premium quality raw material that includes electronic part like capacitor, resistors, PCB, IGBT, braking resistors and many more. We procure raw material from well established companies from countries like Malaysia, Singapore, Korea and Taiwan. We ensure customer satisfaction through better performance of our range of frequency inverters. Utilization of advance technology and supreme quality raw material from established manufacturers across the globe enhances the functionality of our product range. In addition to the quality of our products, we offer installation services to our clients to educate them and use the inverters in an efficient manner. Further, we offer easy payment options and timely delivery that ensure to increase the satisfaction of our global clients. - D&H Welding India (Indore). Leveraging on the above mentioned machinery we ensure the production of a flawless range of products. Moreover, we have an in-house design unit fully equipped with latest CAD/ CAM facility. This design unit facilitates us to come with innovative designs, hence improving on our existing product line. Our sound manufacturing is installed with a capacity manufacture 1500 units per month. - Moisture and chemical free to prevent any damage to the products. His strong business acumen and huge expertise in the industry backed by the diligent efforts of our highly proficient team ensures flawless & defect free production. No. 22, Shukan Mall, Science City Road, Sola, Ahmedabad - 380060, Gujarat, India. Power Tech System © 2015. All Rights Reserved.